In an exemplary move, a militant couple belonging to the banned Hynniewtrep National Liberation Council (HNLC) decided to lay down arms and return to the mainstream for a better future of their children. The HNLC militant couple surrendered before Meghalaya Home Minister James K Sangma and State DGP S B Singh at the police headquarters in Shillong on Sunday. The militant duo, Aiborlang Thongni alias Bahbah Mawpud, aged around 36 years was the senior most cadre in Bangladesh. Thongni, who is from Mawpud village in South West Khasi Hills, joined HNLC in 2001 and was trained in Chittagong and had been staying in Bilwa in Bangladesh. However, Thongni claimed that he did not get any training and was engaged in farming. His wife Rishalin Syiemlieh, aged around 27 years, alias Lin, joined the outfit when she was 14. Syiemlieh hails from Photjaud village in the same district and she was imparted training in using firearms in Chittagong. She married Thongni in 2013 and they have two children. After the surrender, the couple shared with the section of media present that they had surrendered with high hopes of bring up their children in a healthy atmosphere where there is safety and security. 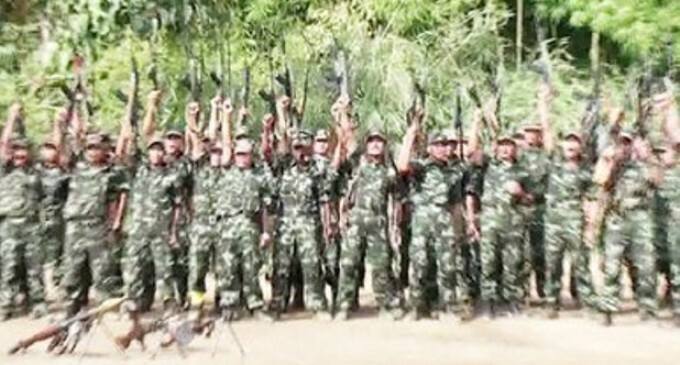 While welcoming the surrendered militants to the mainstream, James reiterated that the Meghalaya Government is committed to rehabilitate militants willing to surrender and return to mainstream. Meanwhile State DGP claimed that the once dreaded militant outfit, the HNLC is now just a toothless tiger with just a handful of cadres left in its fold.